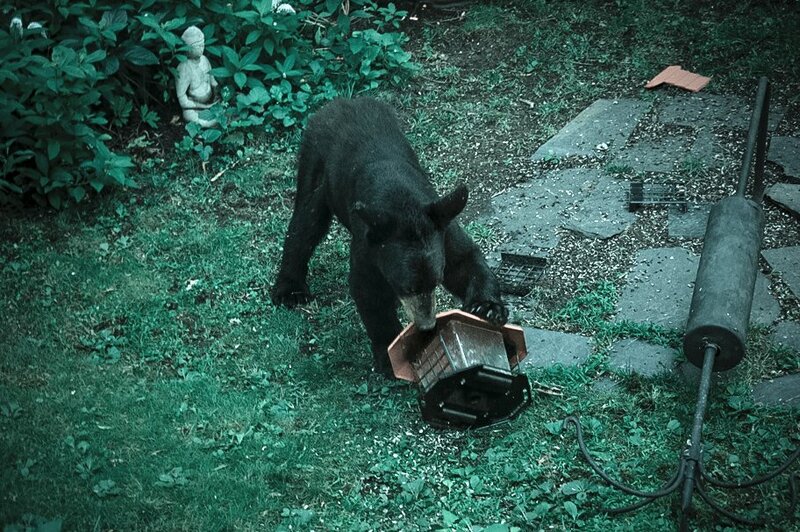 Posts with tag: "black bear, watermelon cake, Henrico, Virginia"
My friend Tom Topinka made these wonderful pictures of a Black Bear in the process of laying ruin to his backyard bird feeders. The bear had been wandering the West End of Richmond for a few weeks and was considered harmless. 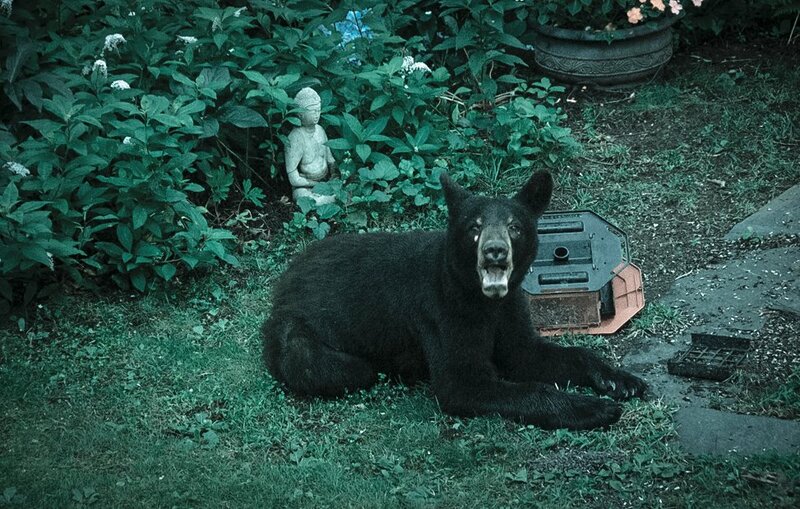 He was trapped the next day nearby in a barrel trap baited with Watermelon Cake from Ukrop's Bakery. I highly recommend this cake.